This portable camera allows you to see the world at a microscopic level. View objects at 1000x their actual size through the Microscope Camera with 1000X Zoom. Examine jewelry, coins, stamps, or hair for fun or a scientific project. The camera's advanced image sensor and 8 LED lights help create the most detailed view. With just one click, you can save HD photos to your computer easily. The device is compatible with Windows and Apple operating systems. 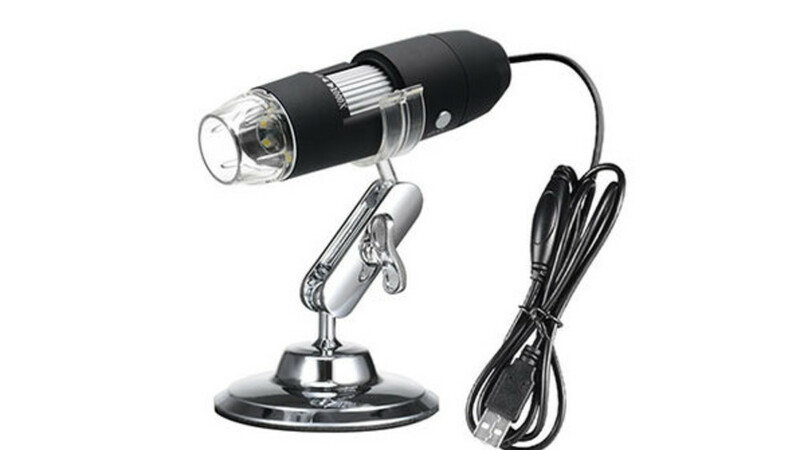 View your surroundings on a whole new level with the Microscope Camera with 1000X Zoom.